Another nice little bike from my hoard... a Bob Jackson "Limited Addition". 53cm ctc on the seat tube, 54cm ctc on the top tube. 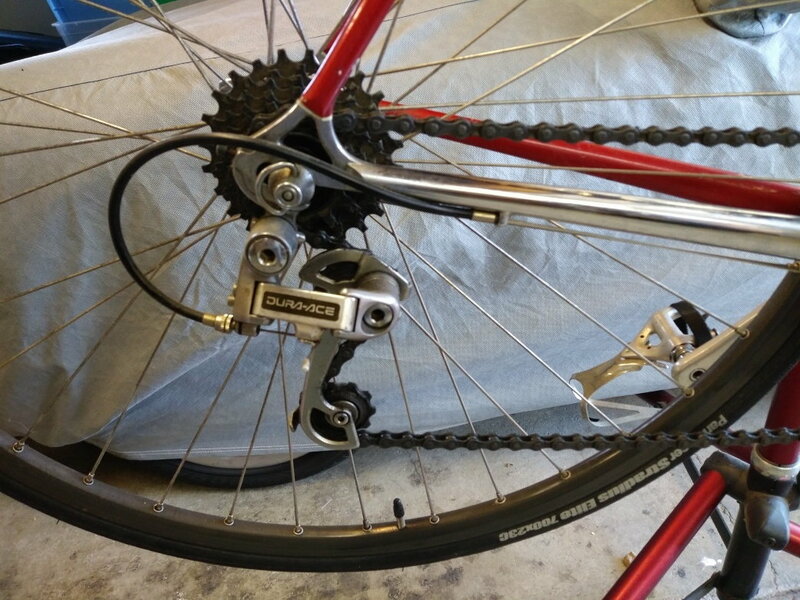 All Dura Ace, except the funky Specialized halfstep/granny triple crank and Mountech FD. Made from 531 Professional tubing. 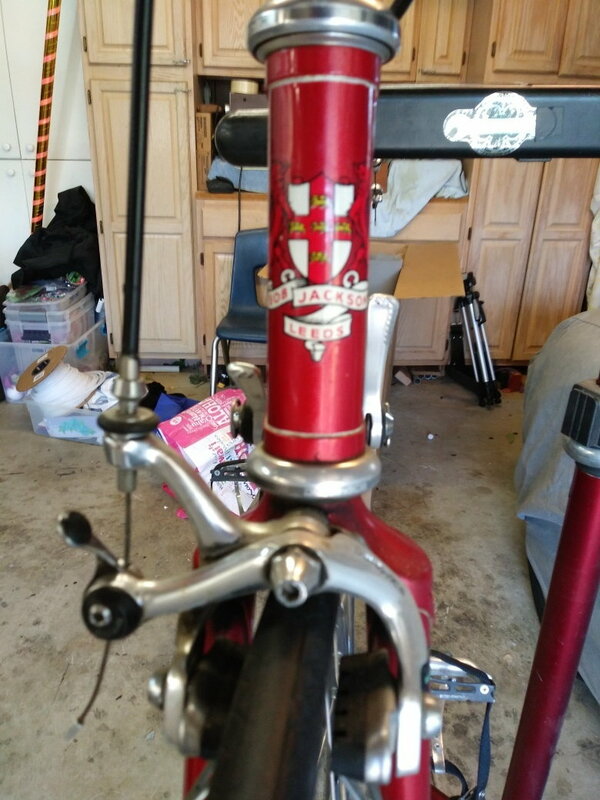 Paint is nice but needs to be cleaned and polished, there are nicks and scratches, as well as a very small ding on the top tube. Tires look near new, and still have some flashing on them. 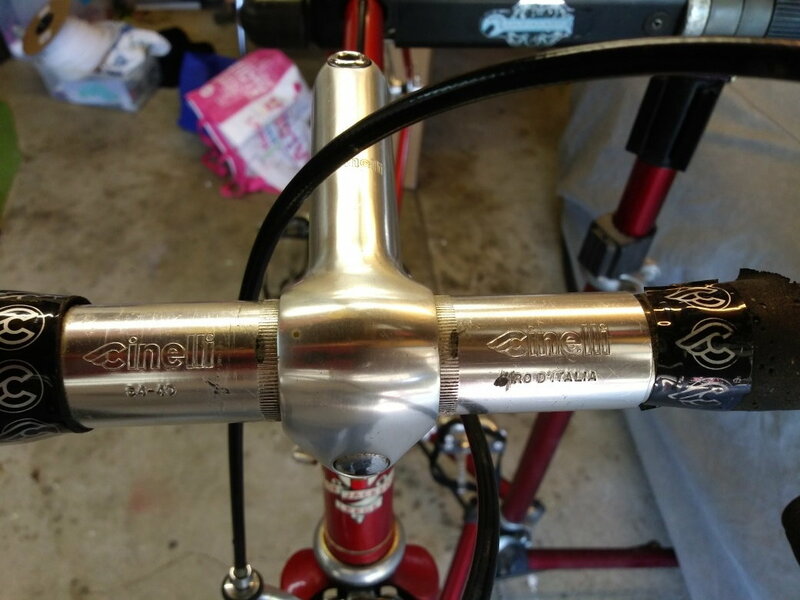 Cinelli bars and stem. 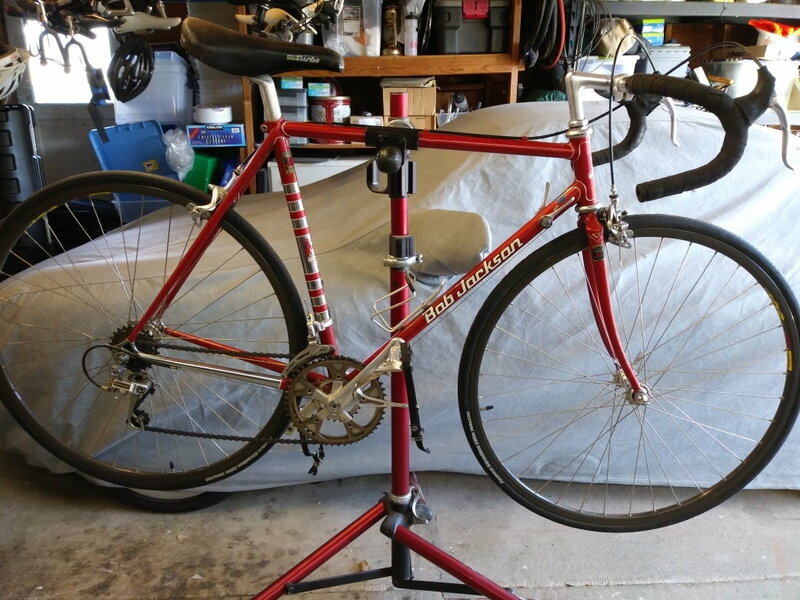 Will need new hoods and bar tape, and will need to be cleaned and tuned. Altogether, is is in nice shape and near ready to ride. $680 shipped to your door. Last edited by bigbossman; 01-27-19 at 10:46 PM. My size, and I live in Santa Crud. Can you post a photo of the dent? 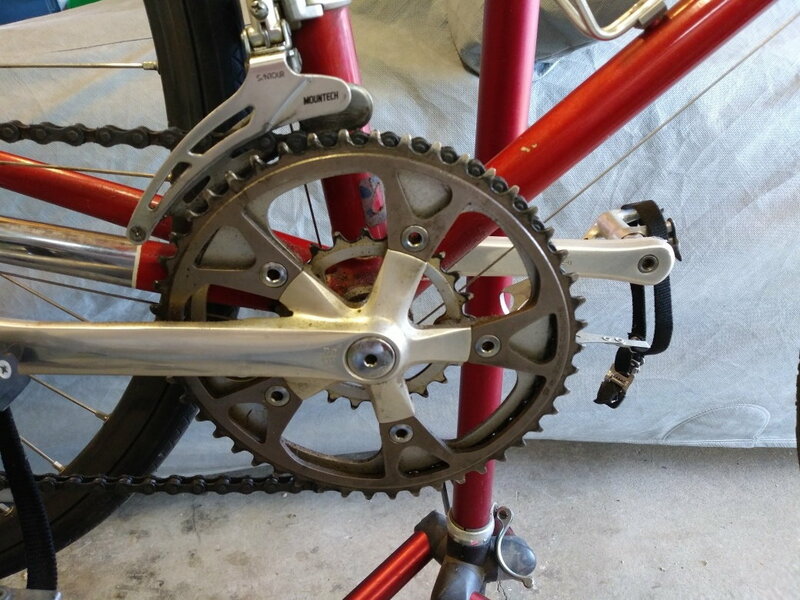 What are the wheels & hubs? How much tire clearance? I put one in the exact same place on my 1981 Miyata ... in 1982. Tried to send you a PM but you have PM's disabled.... If you want the bike and you will come pick it up, I'll give you a good discount. I think he means how fat a tire could you cram into the frame? I'm curious too. I'm going to guess 28mm. One approach I use is to find the smallest gap and measure it with a hex wrench. Do you think 28's would fit and not be to close to rubbing anywhere? Oh, as long as we are being annoying, any idea what year it is? I took a scale and measured from the side of the tire sidewall to the inside of the fork tubes and there is about 75mm on either side. A bit less in the back, about 60-65mm on either side. If 28c tires are taller as well I can take that measurement as well. See above. If I has a 28 c tire on-hand, I'd mount it and see. If you're seriously interested in the bike and want to send me one, I'll give it a try and let you know. 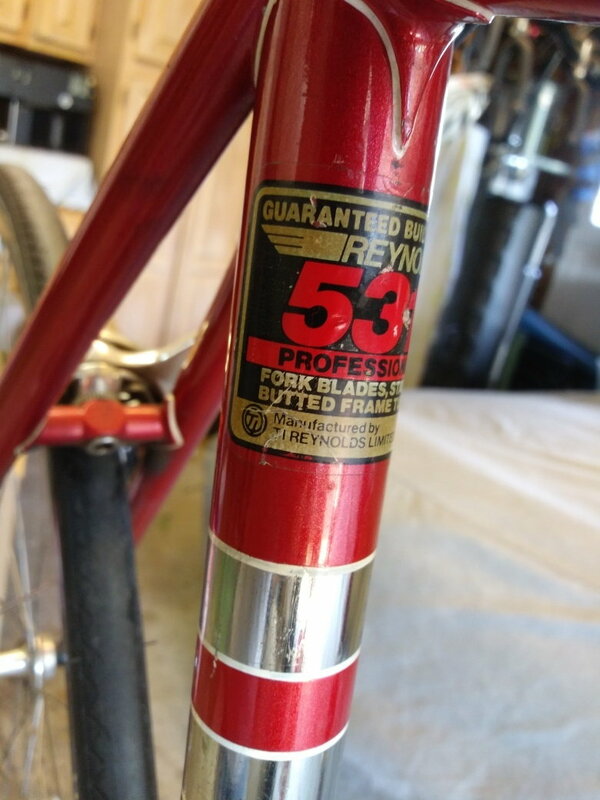 No idea, but a Reynolds decal PDF I just referenced says 531 Professional tubing was fist made in 1981 and was discontinued in 1988. Last edited by bigbossman; 01-27-19 at 09:38 PM. Well, I guess I'm not real serious about it at this point. Beautiful bike and my size as well! But I think the 531P is probably not the best tubing choice for me until I loose about 30 lbs. 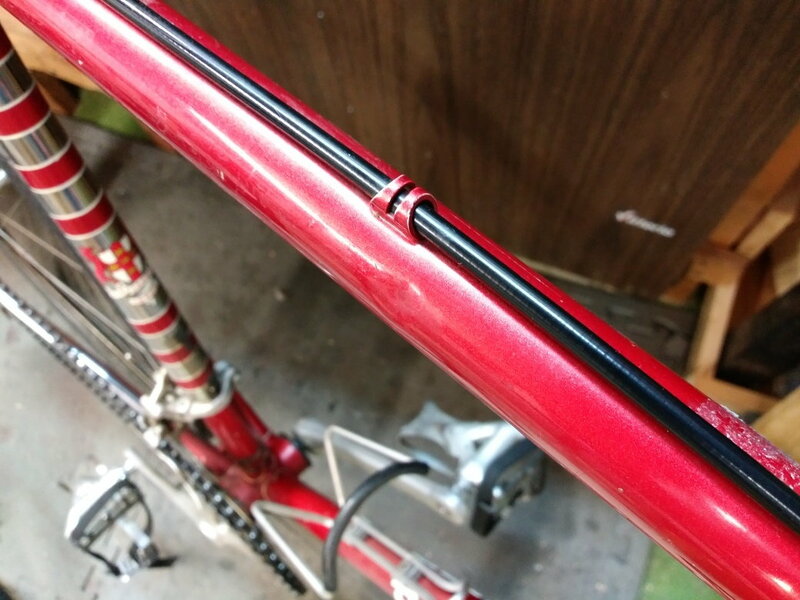 You might be able to get a picture from the front kind of in line with the brake mounting bolt that would show the relative clearance all around between tire and frame. In the back, the tightest place is probably between the chain stays and the sides of the tire, might be hard to get a picture of that, but it could be at the brake caliper and the circumference of the tire. This would probably be useful information to someone considering the bike. Surprised this isn't gone. 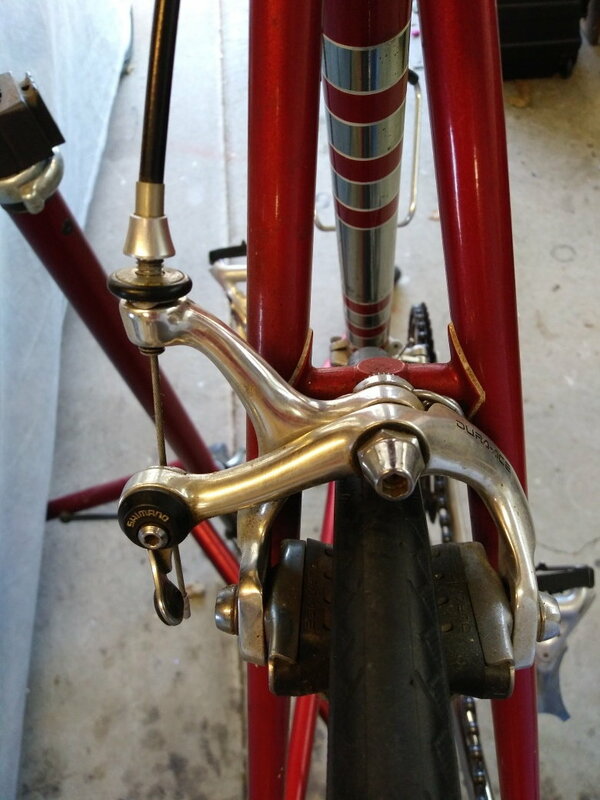 Long cage DA rear paired with a Specialized halfstep/granny crank. 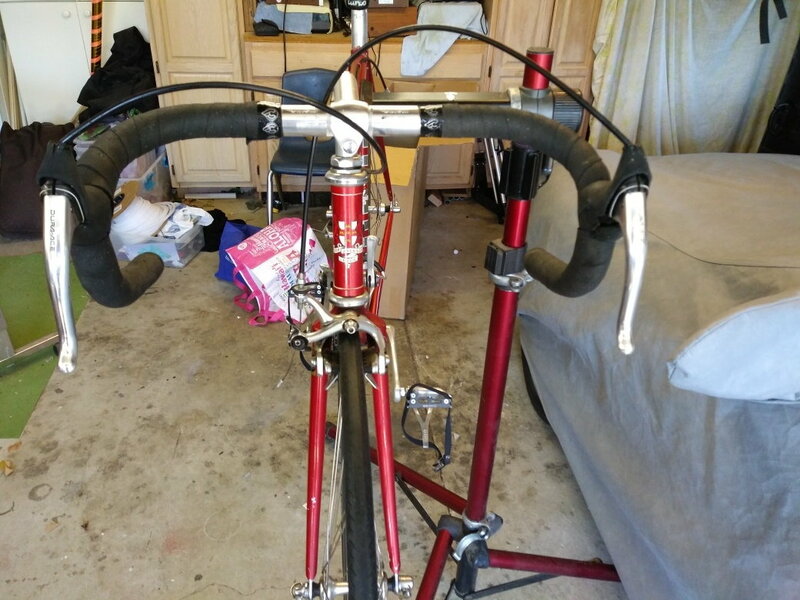 ooh is that a Bob Jackson frame made with Reynolds Pro 531. Delivered? The only thing keeping me from driving up there now is the Pessimistic Naysayer and Incorrigible Vulture of Ill-Omen who thinks I have enough bikes already. Can anyone recommend a divorce lawyer? Why, yes....yes it is. I thought I priced it pretty aggressively, but so far no-one's biting. Just trying to do BF members a solid. eBay tomorrow, when I get some time. The frame-set alone with get me $600 there. Well... I tried to give it a good home here first, but I need this thing gone. Up on eBay now, so if you want it you'd better let me know sooner than later. That does look cool as all get out, don't it? It's not braggadocious to admire one, up close, yes? If I were flush, that bike would be mine. Size, colour, gearing, marque, perfect. That's a beauty! I just traded my too small Bob Jackson today for a set of modern Campagnolo Eurus wheels. One day I'll find another in my size. I actually got into a marital dispute about this last night. You just prevented a divorce. There shall be peace in your kingdom..... this bike has been sold.